Sports have always played a big part in the Upper Murray Community. In the early years it was horse racing, football, basketball (now called netball) and cricket plus regular local athletic events. In more recent years there is football, netball, basketball, cricket, pony club, lawn bowls, indoor bowls, badminton, table tennis, squash, and still horse racing although down to only 2 meetings a year. FOOTBALL CLUBS OF THE UPPER MURRAY. January 1894 Corryong wrote to both Cudgewa and Mt Elliot clubs requesting them to send delegates to discuss forming an association. 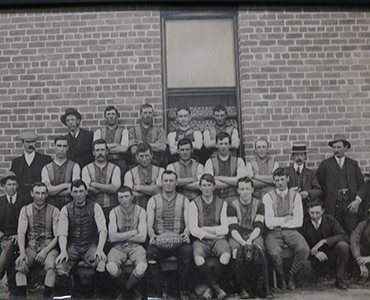 Cudgewa Football Club was formed in 1888. According to Arch Blair the first year only three games were played and they were all drawn as points were not counted. Since then football has been an important part of Upper Murray life and a number of clubs have been involved over the years depending on players available. Currently six teams play in the competition – Corryong, Federals, Cudgewa, Walwa, Tumbarumba and Bullioh. Some of the earliest races in the district were at Findlay’s Flats between Towong Hill Homestead and Bringenbrong Bridge in the mid 1850’s. Following the formation of the Tallangatta-Towong Turf Club on 9th December 1870 racing moved to Towong in 1871, where the races were first held on the Towong – Corryong Rd, the finishing post being a 6 foot high grey stump on the Corryong side of the Towong School. The course was then shifted to its present site on Crown land. The main race was originally called the Towong Handicap over 2 miles [3,200m]. 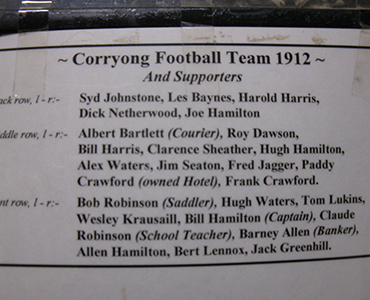 The first Towong Cup was held in 1924 and won by Tom Bourke, owned and trained by Bill Lowden. The same horse also won the 1925 and 1926 Cups being the only horse to win 3 consecutive Towong Cups. The original Towong Races were great social occasions where people might only meet up on a yearly basis. Business was transacted, marriages arranged and disputes settled, mostly by “stripped to the waist bare fist fighting”. A muttered “See you on race day” was often a challenge to fight many months later at the Towong races. Other races were also held in the district at Thougla, Berringama, Cudgewa Towong and Cudgewa North. 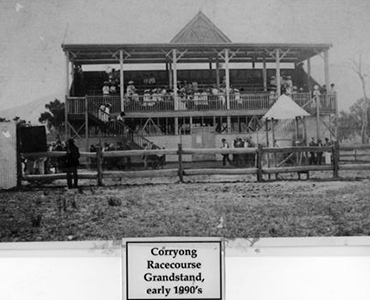 The Upper Murray Racing Club’s first meeting was in March 1894 on Mark’s Oval, Corryong. Competition was fierce with many horses running in more than one race and family members riding. In 1982 the movie “Phar Lap” was filmed using Towong as the setting for his first race due to the grandstand and original running rails making it authentic for the time. Many locals were used as extras for the day as well as horses from local trainers. 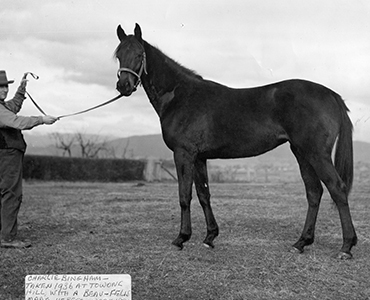 Many good horses were bred and raced in the district and Melbourne & Sydney. The Towong Turf Club had a reputation as “the Melbourne Cup of the Bush” and in the 1920’s became more commonly known as The “Flemington of the Bush”. The Cup meeting is held on the Labour Day weekend in March. SOME CHAMPION HORSES THAT HAVE BEEN BRED OR STARTED THEIR CAREERS IN THE UPPER MURRAY.